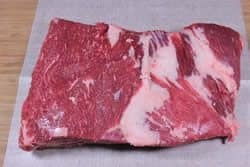 Most of the short ribs found in local grocers will be cut up into small pieces. 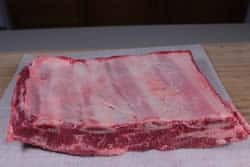 I located this uncut rack of beef short ribs at a local grocery store but I had to ask for them and they were retrieved from the back. Much like brisket, you have to cook them low and slow until they are well past done to enjoy the tenderness. The Texas rub reigned supreme on this smoked rack of beef short ribs and the flavor was absolutely incredible. 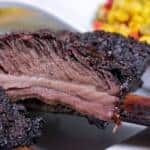 When you have beef that has this much flavor on it's own, you want to use a rub that compliments it well without overpowering and while both of my rub recipes do that well, the savory Texas rub was the clear choice. The whole rack and even the pieces already cut up will usually have a layer of fat on top of the meat. 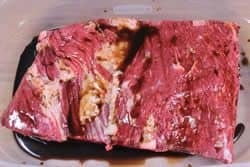 I choose to remove this as there is plenty of fat within the meat and I like for the rub to make direct contact with the meat. 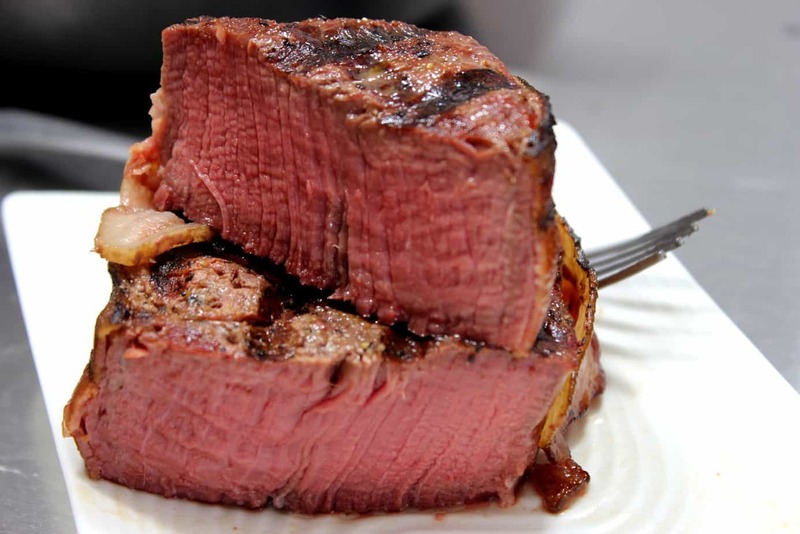 I asked the butcher to do this for me but it's pretty easy to do with a sharp knife. Be sure to remove any silverskin you find as well. Some of the fat runs deep into the meat and so you just have to trim it down level with the meat and stop, otherwise, you'd be cutting so far into the meat, the rack would separate into pieces. 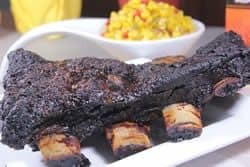 Do the best you can and let the heat melt the rest of it away as it keeps the beef short ribs juicy. 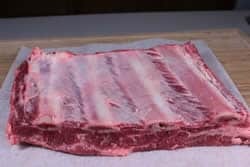 Flip the rack of beef ribs over to the membrane side and either remove the membrane or score it really good with a sharp knife. I got a small corner loose then grabbed it with a paper towel to pull it clean off. 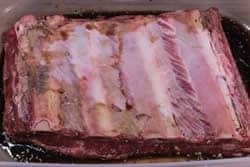 With the fat and silverskin removed, place the rack of ribs into a plastic or glass container and pour enough Worcestershire sauce over the meat to wet it real good. Add several tablespoons of minced garlic to the top and use a spoon to spread it over the meat. I used minced garlic in a bottle as it works just fine for things like this. 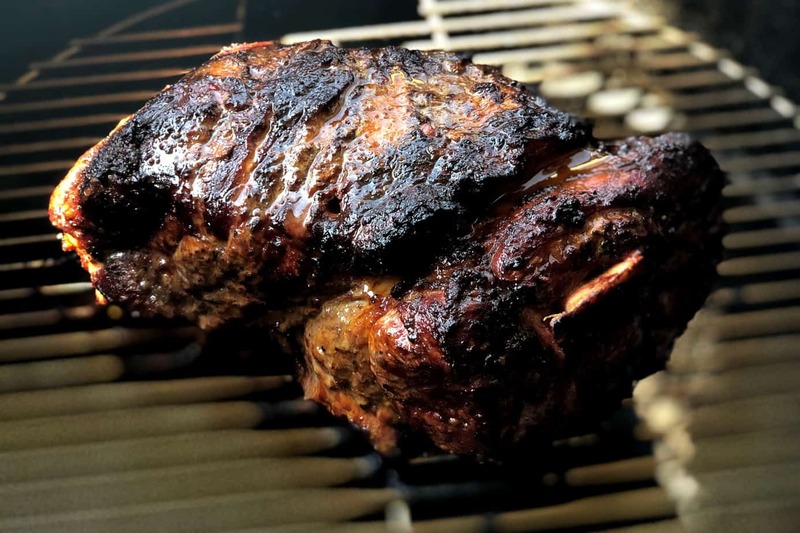 Finally, sprinkle a good layer of my Texas rub (purchase recipes here) onto the top meat side and let it sit there for a few minutes and mingle with the other ingredients. 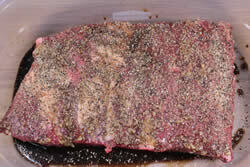 Once it looks nice and wet, flip the rack of beef short ribs over to top side down. 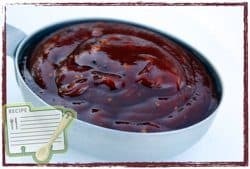 Pour a little more Worcestershire sauce down in the bottom of the container to make sure the meat is making contact with the sauce. Place a lid or cover on the container and put it it the fridge for at least 3 hours but up to 8 hours is perfectly fine. 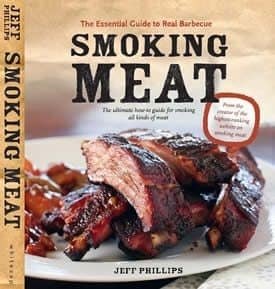 While the meat is finishing up the marinating time, go ahead and get the smoker ready to go. 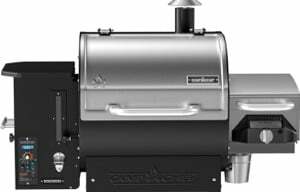 You'll want to set it up for cooking at about 250°F with about 3-4 hours worth of smoking wood. I like to place the rack of ribs down in a foil pan to contain the juices while it cooks and especially if I plan to cover with foil later. 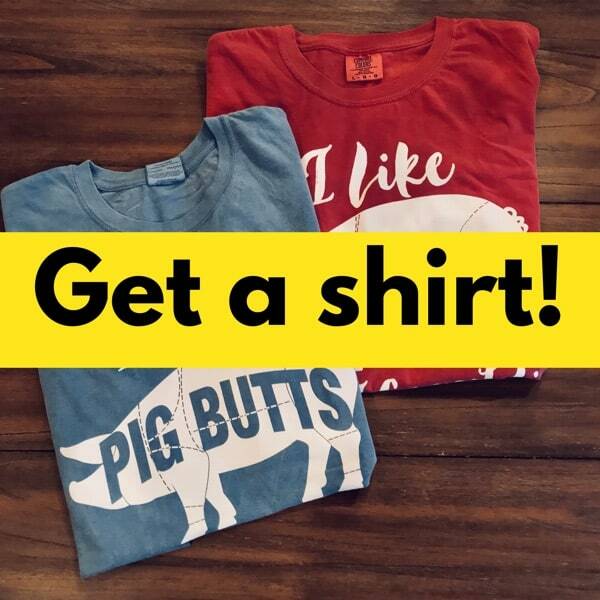 Bone side down, meat side up is the proper configuration. 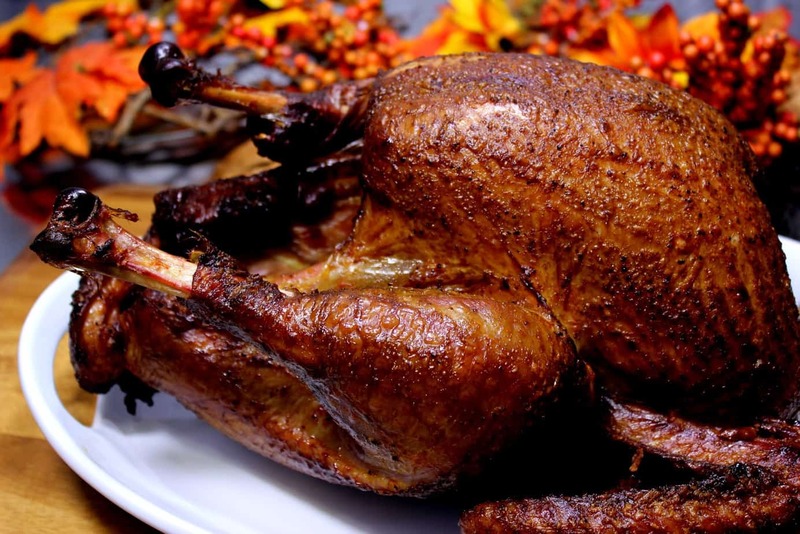 Place the pan into a 250°F smoker and maintain light smoke for at least 3-4 hours. If your smoker has a water pan, I recommend using it. 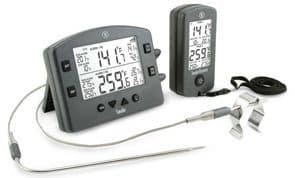 Use a leave-in digital probe meat thermometer so you can monitor the temperature. 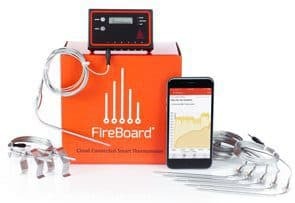 The probe should go into meat only, without touching bone. 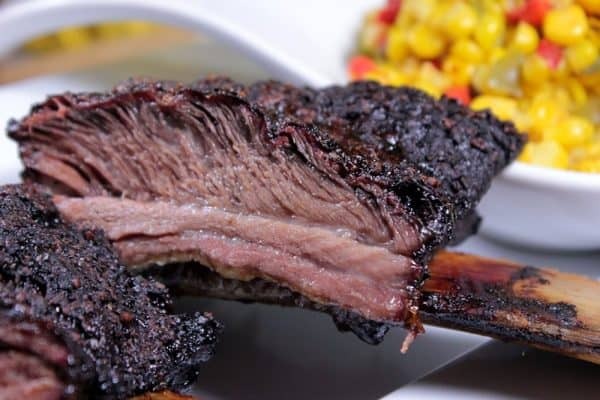 The beef short ribs are cooked to about 200°F before calling them done. 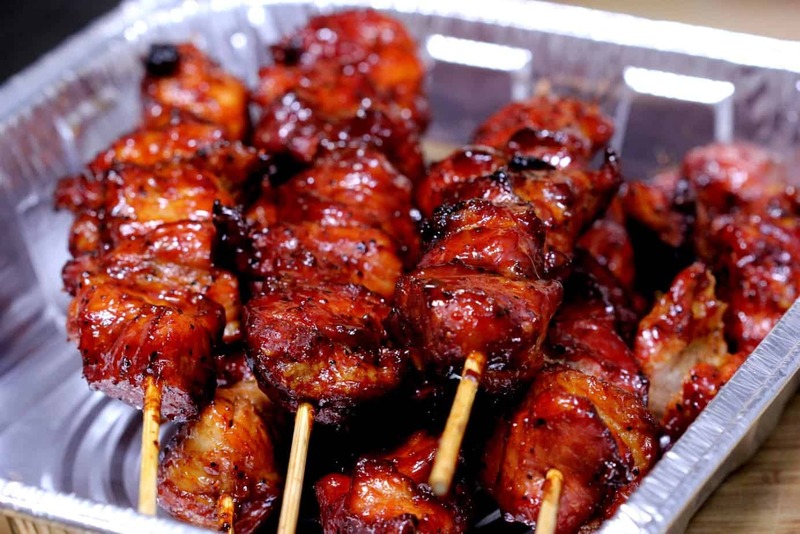 I took mine to 203°F and inserting a sharp skewer into the meat was giving me almost no resistance at all. 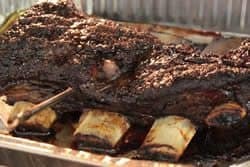 You can expect the beef short ribs to take 7-9 hours to reach 200°F. 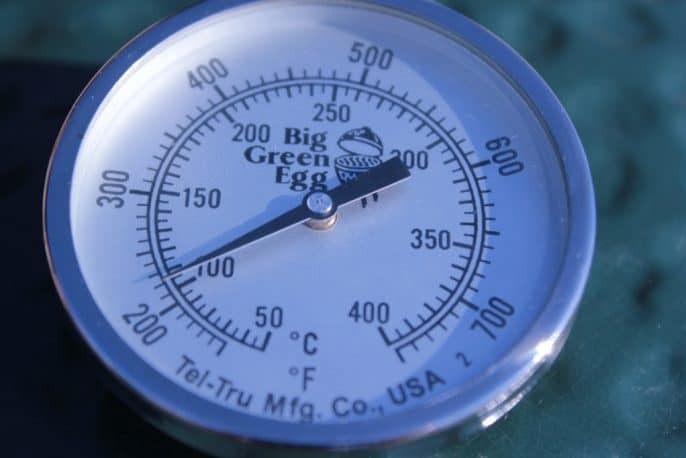 Be sure to use the Temperature NOT the time to tell you when they are done. 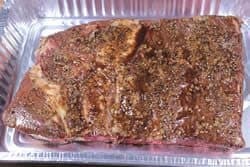 If you want to cover them with foil at 160°F internal meat temperature it will help to speed them along but the bark formation will not be as good. I left mine uncovered down in the pan for the entire time. Once the ribs were finished cooking, I removed them from the smoker to the countertop and placed another foil pan on top to hold in a little heat while the meat rested for about 30 minutes. 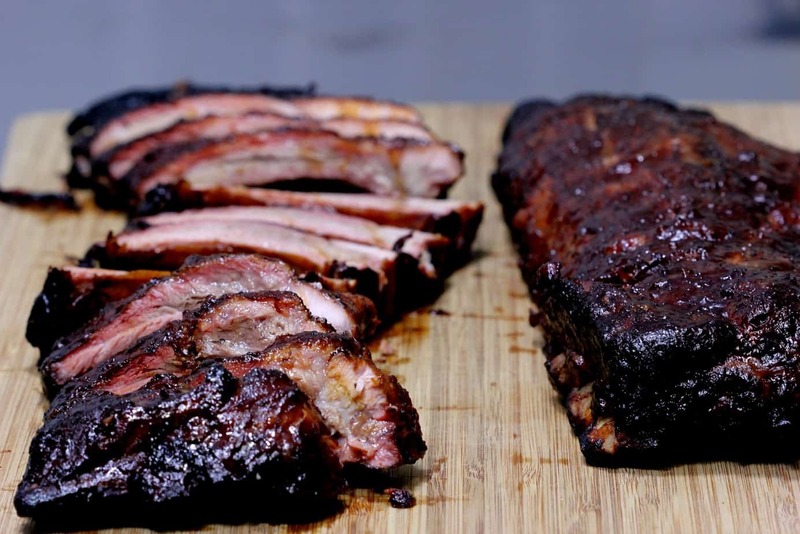 Cut the rack of ribs into individual bones and let folks dig in. What determines how long these take to cook? The thickness determines the time in large part. 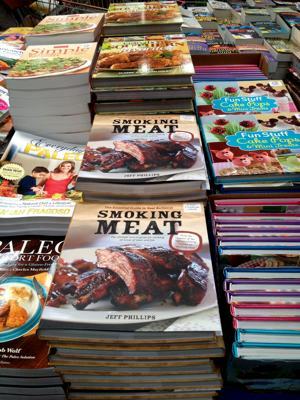 They will also cook a little faster if you cut them apart before smoking them. 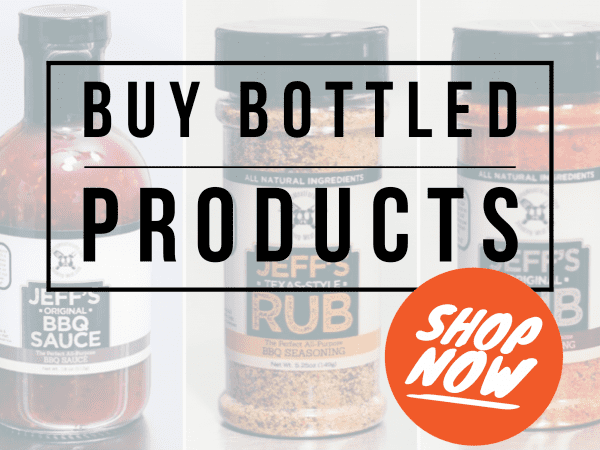 I usually use the original rub on brisket, will it work on beef short ribs? Absolutely and really well too! 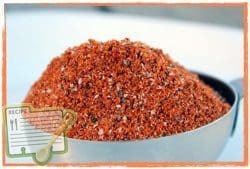 I love the original rub (purchase recipes here) on beef and use it quite often that way. 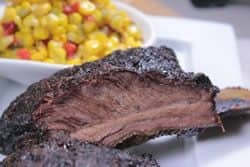 Some prefer beef ribs that are savory only and this is where the Texas rub recipe comes in. If you want to cover them at 160°F internal meat temperature it will help to speed them along but the bark formation will not be as good. I left mine uncovered down in the pan for the entire time.